We love burgers. Ken wants them at least once a week in different ways. 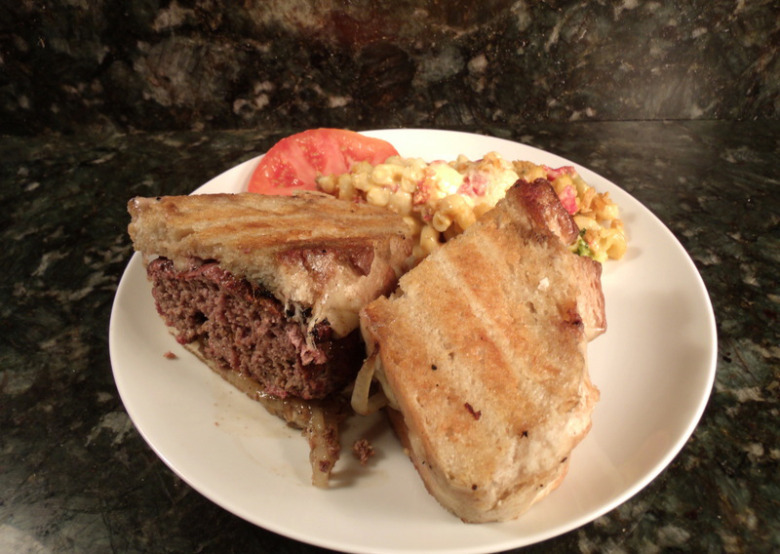 Patti wanted something different and not on a plain old burger bun and sourdough bread is one of our favorites. 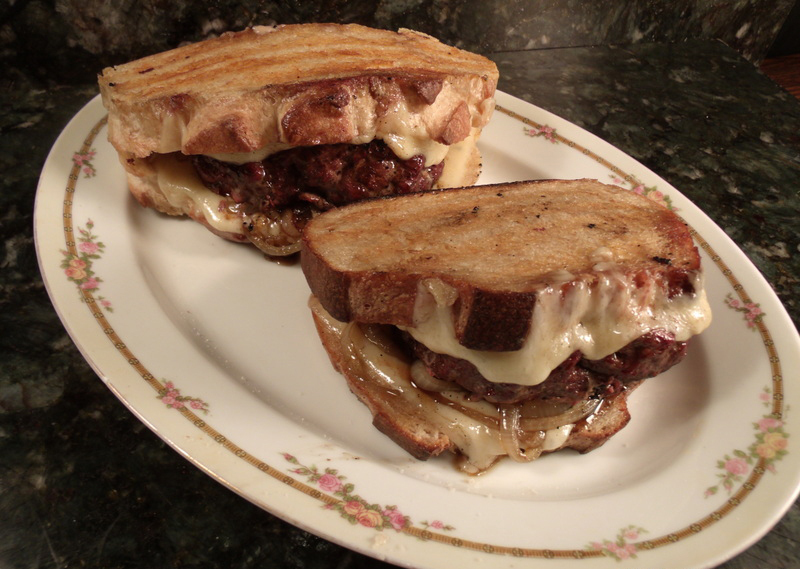 Adding grilled onions and Swiss cheese grilled all together with the burger made it just what we wanted. In medium bowl mix the ground beef with seasonings. 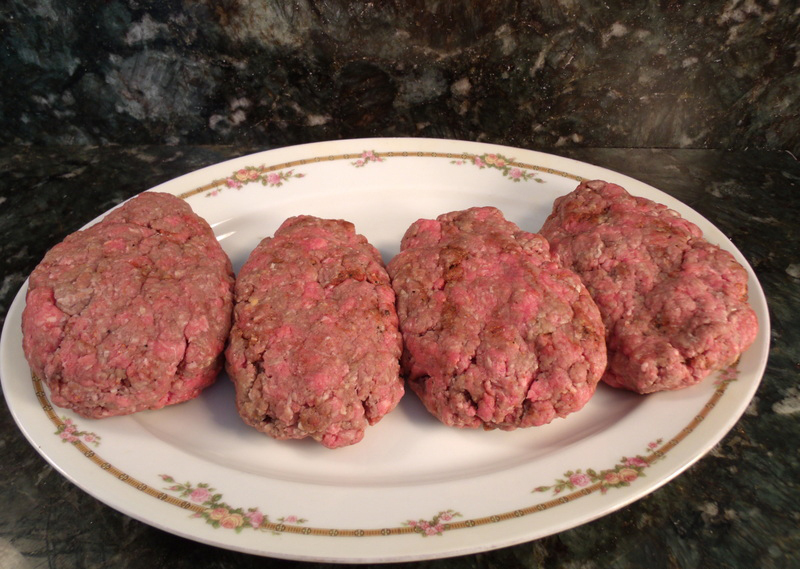 Form into four big patties. 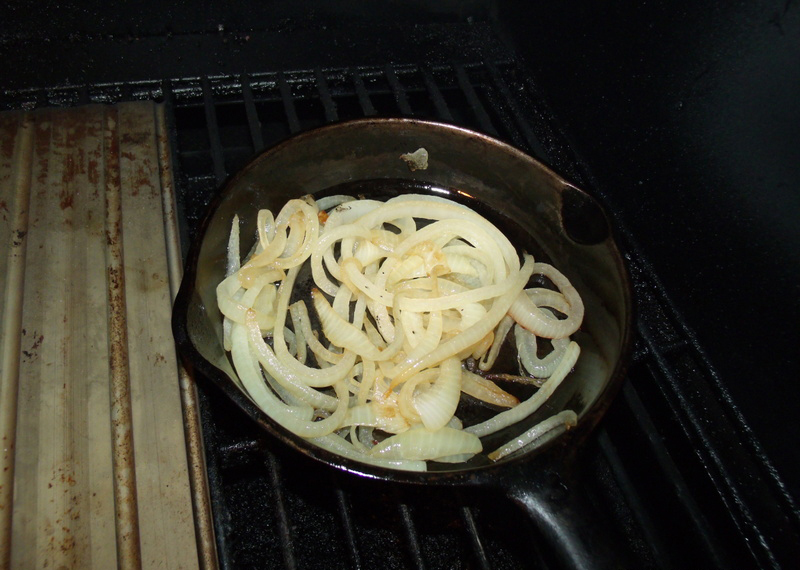 Sauté the onions in melted butter. Smoke and then grill burgers until desired doneness. U.S.D.A. says 165 degrees (69c) for safe grilling temperature. 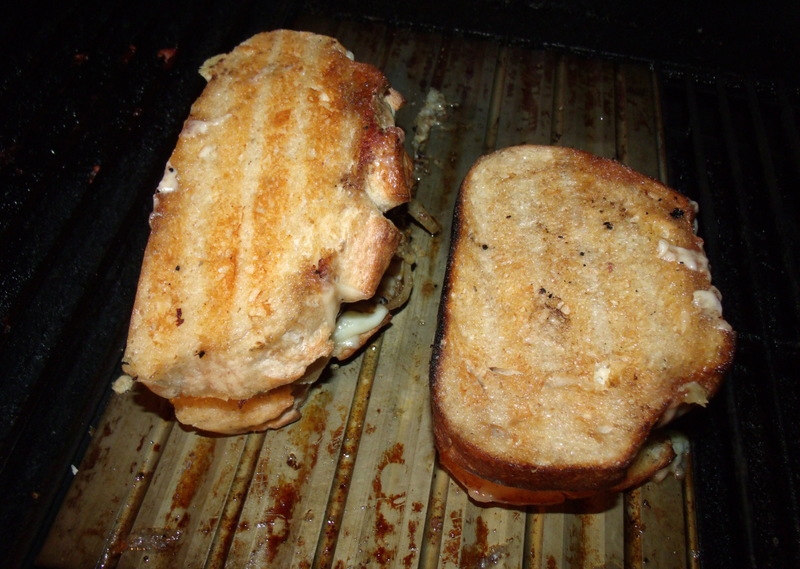 On both sides of sourdough bread spread lightly with mayo and place on your Green Mountain grill. Brown both sides of the bread. 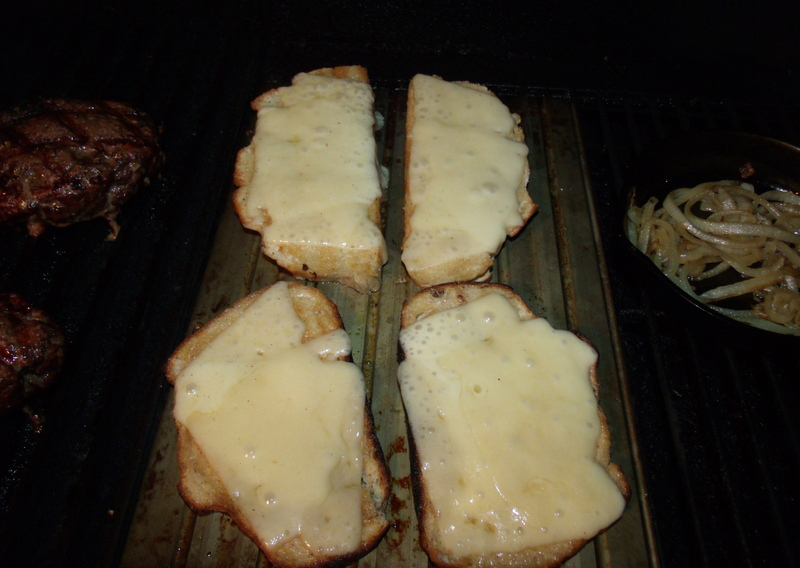 Top the burgers with Swiss cheese, grill until cheese is melted. 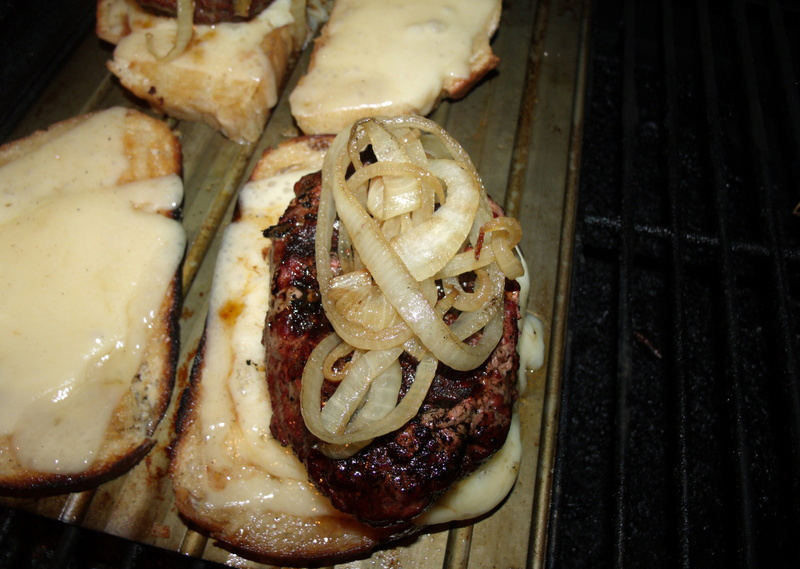 Place burger on one bread slice top with grilled onions and top with second bread slice. Serve with Thousand Island dressing. So, after the grill comes up to temp and burns clean turn it back down to 150 degrees (66c). 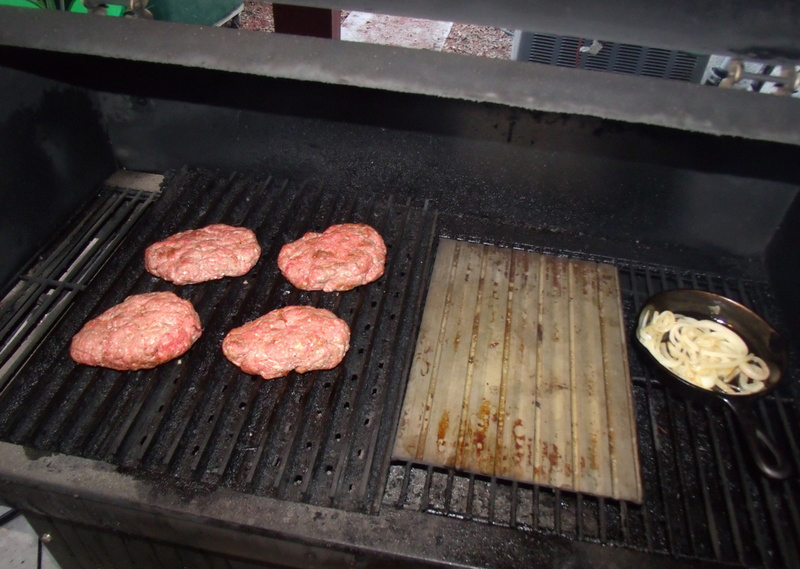 Place everything directly onto the grill and just let it hang out in the smoke and get happy for 30 minutes or so. This is referred to as “Smoking” or “Hot Smoking”, the temperature is 150 degrees (66c). 30 minutes of smoking is not enough to have any cooking effect on your meat but it is enough to open the pores so that the meat can pick up all the flavor of the smoke. When the meat reaches an internal temp around 160 degrees (72c) pull it off, cover it and let it rest for 10 minutes before serving. 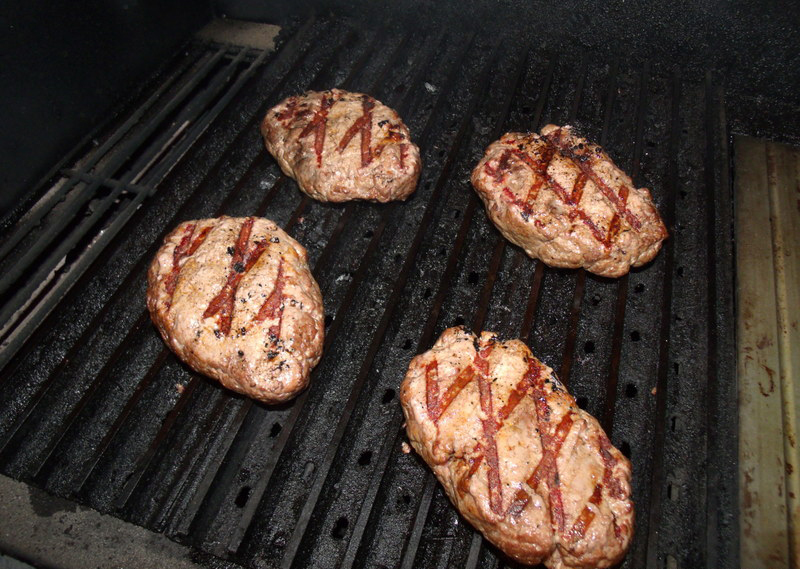 Keep in mind that the meat will continue cooking for another 5 to 10 degrees after you pull it off the grill. I use a Maverick ProTemp Instant Read Thermometer for checking meat temps.